Yes! Hornberger! 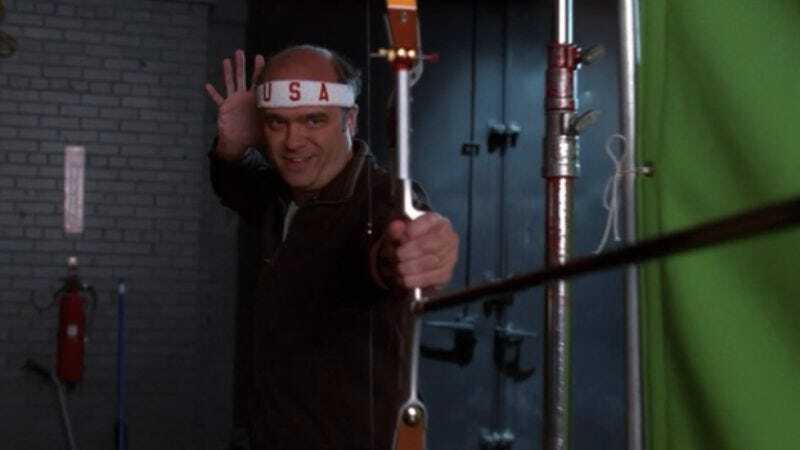 AMC has cast 30 Rock’s Scott Adsit as revolutionary leader Sam Adams in its upcoming half-hour comedy series We Hate Paul Revere. Adsit will star alongside Office Space’s Ron Livingston, who plays Paul Revere, as well as series writers/executive producers Adrian Wenner and Ethan Sandler, who play the titular haters. The casting of two put-upon everymen in a show called We Hate Paul Revere suggests the show may be going in an It’s Always Sunny In Philadelphia-esque direction, where Wenner and Sandler are the ones who deserve to have their wooden teeth punched out. That’s not to say, of course, they’re not nice people in real life, but simply that it’s unprecedented for the Petes Gibbons and Hornberger to play a couple of pompous assholes. Still, stranger things have happened, so we won’t be sure of the show’s dynamic until Paul Rudd gets cast as Sam Adams’ lawyer cousin John.